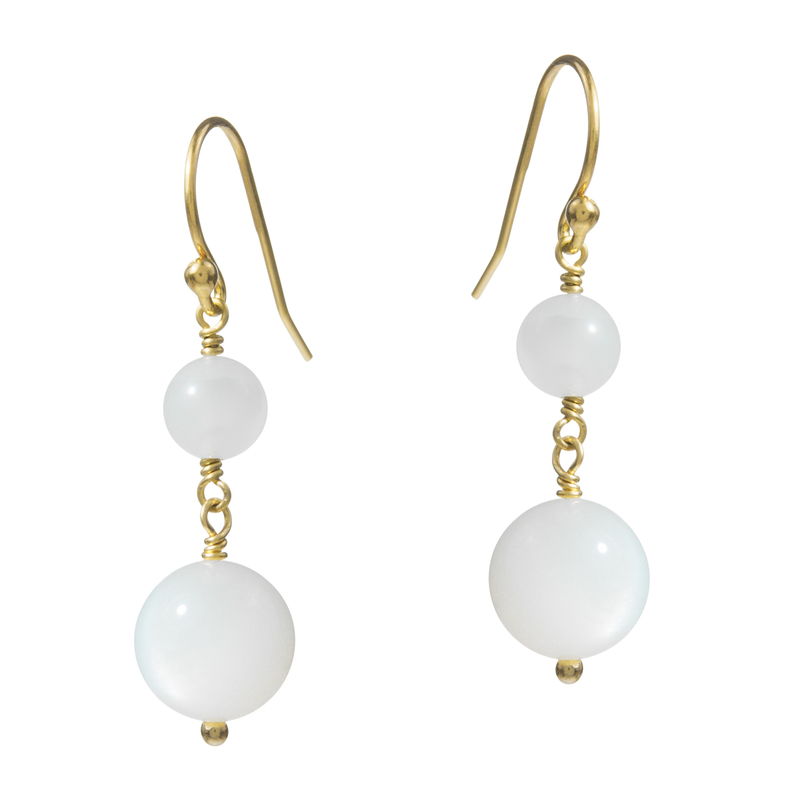 For modern brides who prefer classic elegance and clean lines in bridal gowns and jewellery, we’ve designed these earrings featuring a small and slightly larger round moonstone. 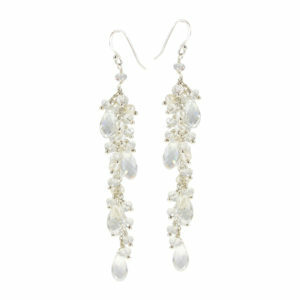 Keeping in line with a purist mind-set, we have created a design that frames and accentuates the bride’s face beautifully. 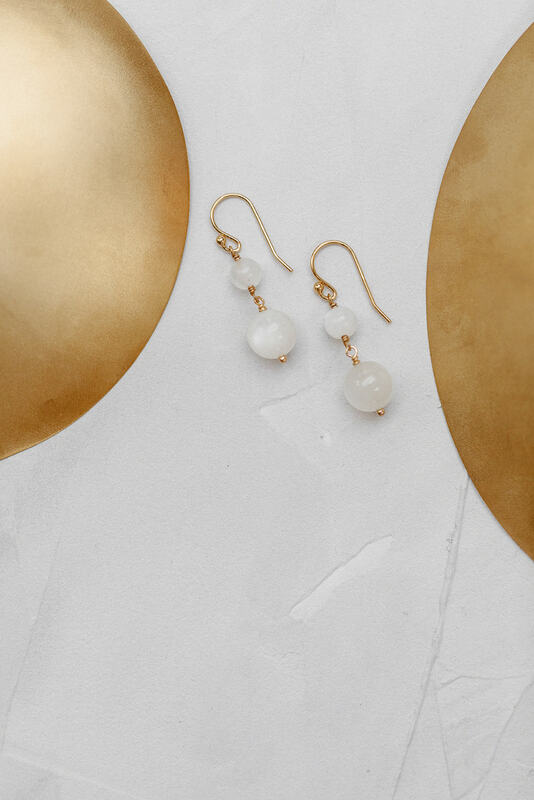 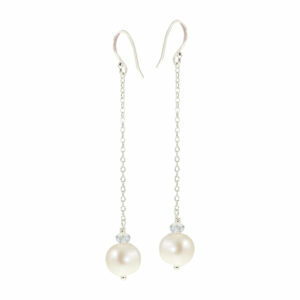 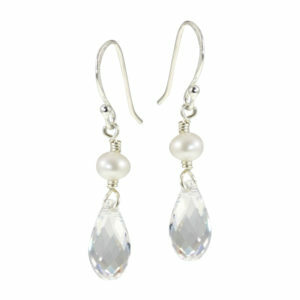 The natural shimmer of the white moonstones subtly holds attention – without any kitsch or pompous glitter.